If you already wrote your text, you must first use the Text tool and select the text portion you want to format. 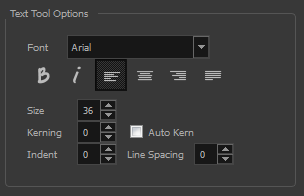 You can modify the parameters of an entire text box using the Select tool. NOTE: To learn how to use the Text tool, see About the Text Tool. Use this option to bold your text selection. Use this option to italicize your text selection. 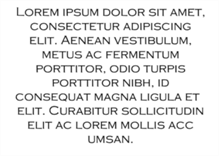 Use this option to left align the paragraph. 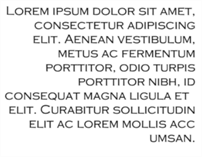 Use this option to center align the paragraph. 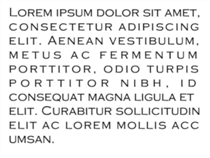 Use this option to right align the paragraph. 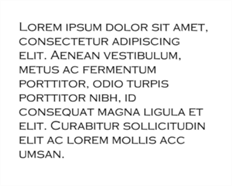 Use this option to justify align the paragraph.